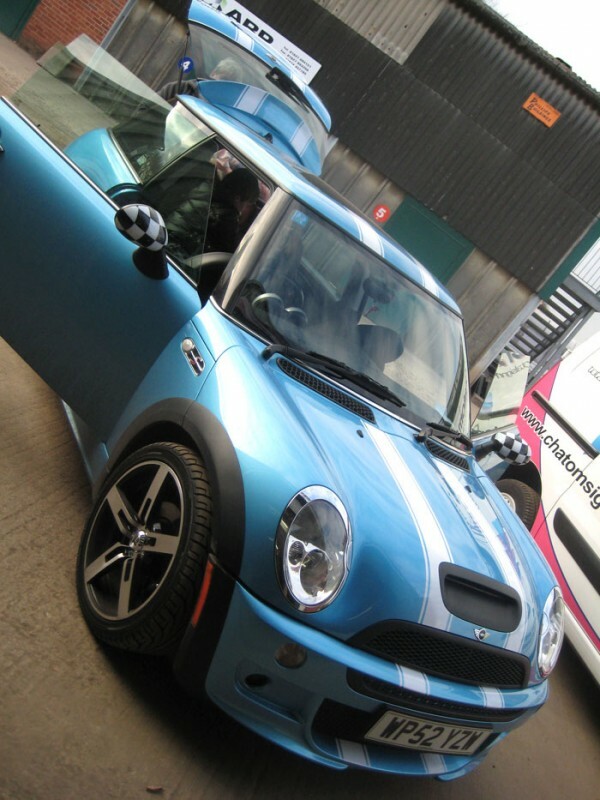 Mini car stickers, vinyl graphics designed for your BMW Mini, Mini Cooper S although kits can be universally applied to numerous makes and models. 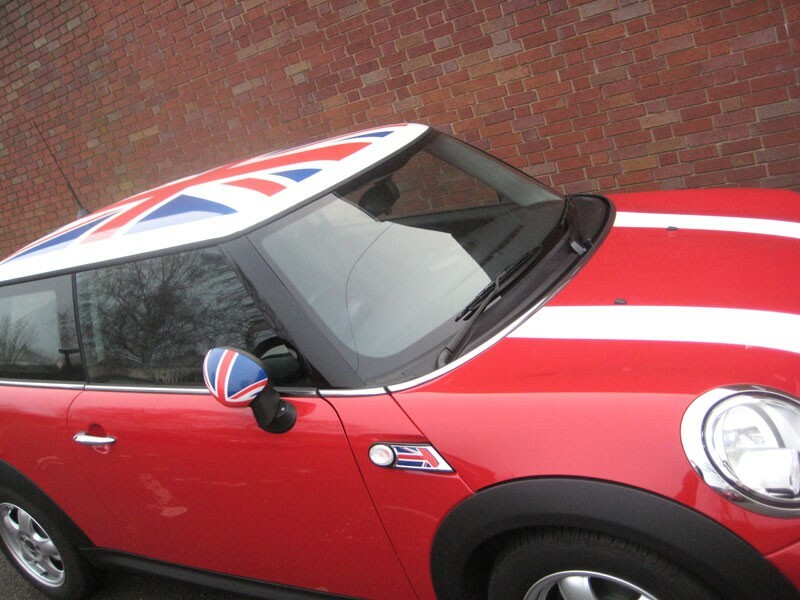 Choose from our range of classic bonnet stripes, roof graphics; chequerboards, flags etc. 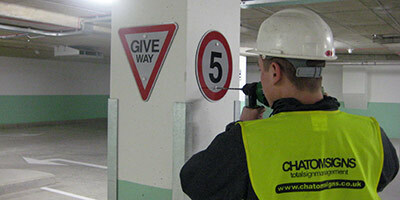 All can fitted onsite by our trained professional fitters or supplied as a kit. 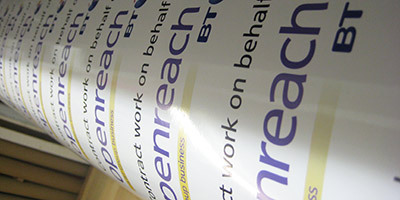 We can also travel to you to fit graphics at additional cost. 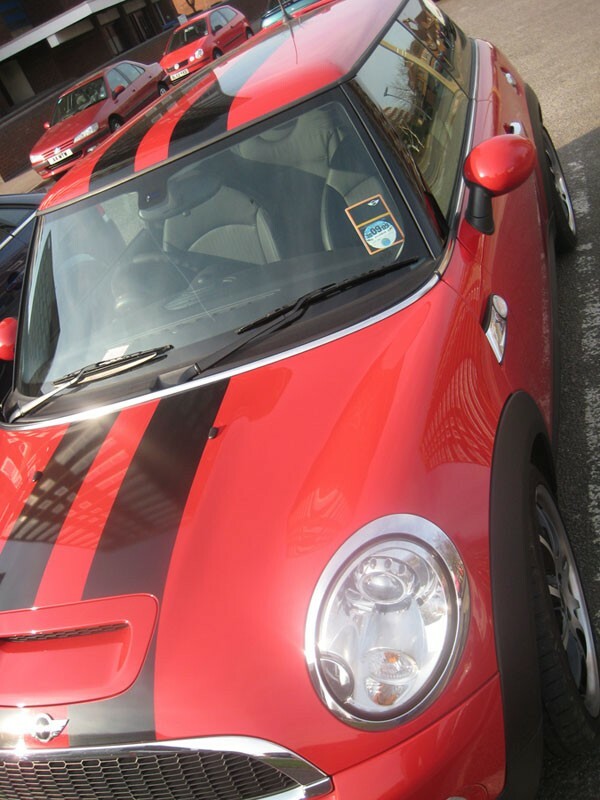 Make your Mini stand out from the crowd!. 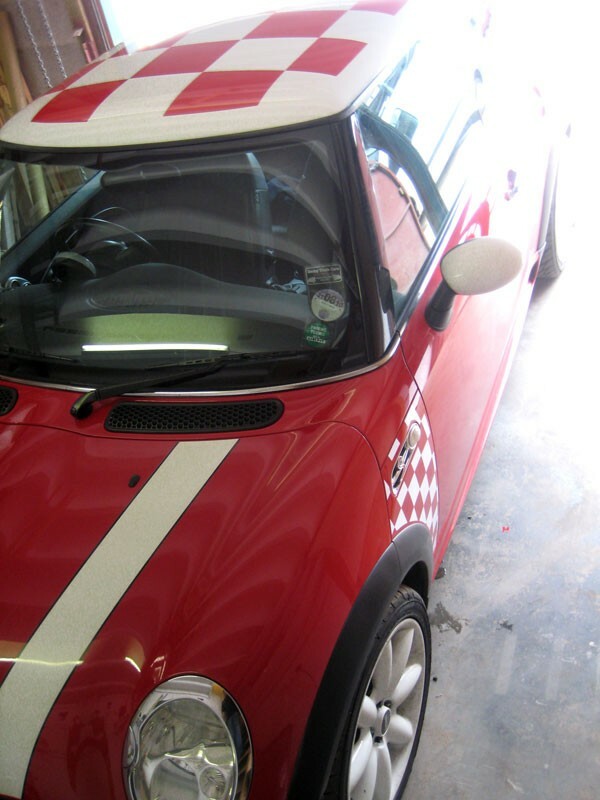 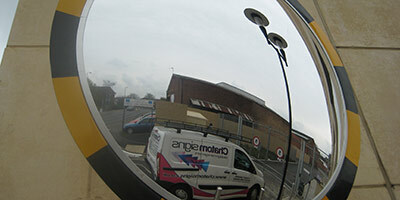 We can supply vehicle graphics to most cars including new and old-style minis, Fiat 500, Suzuki Swift. 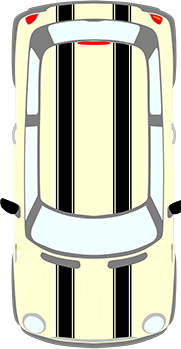 Example products.